Transparency is the most important thing that everyone always searches in any kind of services. Here, at Britannia Airport Cars services, it is offered to you to get a convenient and comfortable trip with the London Airport Transfer. Now, it has become much easier to book a London Minicab right at your place where you are. You can hire a minicab for 4 hours, 8 hours and 12 hours package according to your needs and requirements. Britannia Airport Cars not only provide you London airport transfer but also seaport transfer as well.Our customer support will help you in finding the best and affordable cars suitable with your needs and requirements. It will not only save your money but also will save your time of searching and finding the right car for you. You are just a few steps far from us, just visit on the site and book the better one according to your requirements. So, it can become more comfortable for you. Where you can hire Britannia Airport Cars? These are some places where Britannia Airport Cars are available 24 hours in a day and 365 days in a year. We are growing our footsteps on the each and every part of the city where ever you would like to go and this will be quite easy to reach you just have to book a minicab or any other car on our website. Now, it has become very easy to book or hire a London Airport Minicab with Britannia Airport Cars. Services are available just a few clicks away from you. Just visit on website and book the car in couple of minutes.If you want to hire a minicab for to and from Portsmouth International Port , Harwich international Port , Southampton Cruise Port ,Dover Cruise Port and Tilbury Cruise Port . you are welcome here. What Britannia Airport Cars Services offer you? Ø Britannia Airport Cars are available 24x7x365 for providing the services. 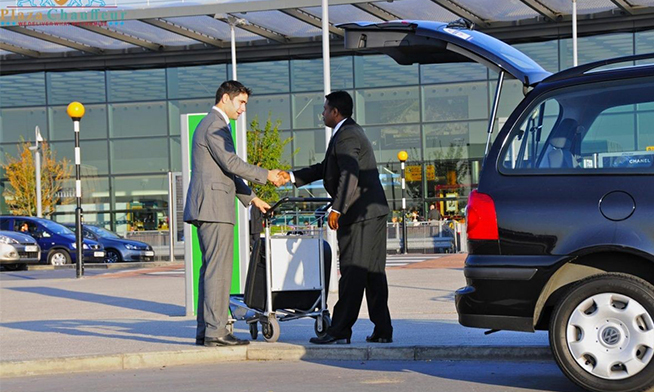 Ø Each and every member of our group is dedicated toward the services what Britannia Airport Cars provide and does everything to make the services perfect and maintain the quality of our services. Ø The Minicab driver will be there before landing your plane with your name board. So, you can find him easily. Ø Britannia Airport Cars services are worth of your money with all of its perfection. Ø Our priority is to provide you fully dedicated services. So, you pay only for the better not for worst. How to hire the Britannia Airport Cars For London Airport Transfer? No matter whether it is a trip, travel or London airport transfer, Britannia Airport Cars are always available for you to provide you the best London Airport minicab services of perfect minicabs. We offer you the top and best in town which you will surely like to have. Just visit on our site and book the minicab by providing some details like pick up location and drop location, time of arrival at the airport, choosing the package (4 hours, 8 hours, and 12 hours) and the type of service(one way or return). These are the things that you can do within a couple of a minute and the minicab will be at your place without having you any kind of trouble. So, if it is as easy as you never thought of then why to wait for booking, just take the advantage of the fast and affordable services with our perfect London minicab drivers who have better knowledge about each and every route. So, you will never be late with them.get the services of Airport to Airport Transfer like London to Gatwick airport, London to Luton airport, London to Stansted Airport, London to Southend Airport, London to Heathrow airport Transfer Services. The experts are always available to provide you the better services in accordance with your demands and will never ask you about any hidden charges. You will surely be satisfied with each of our services and it is sure that our services will be worthy of your money. You can also contact for complaining if there is any. We will hear from you and will take the actions to make our services better than ever. If you are going to choose the Britannia Airport Cars for London Airport Transfer you will not have to be fear about the delay, because we always keep an eye on the flight routes and timing and will never give you a single chance of complaint. Britannia Airport Cars are not only perfect in services but it will also provide affordable services and give you our services in cheaper than London Airport minicabs. Britannia Airport Cars services are available to provide the services at different airports like London Airport , Heathrow Airport ,Gatwick Airport , Southend Airport , Luton Airport , Stansted Airport , or London City Airport also. At these all airports, you can book our minicab services and can get the perfect services right according to your needs. Britannia Airport Cars services are transparent and show you all the charges require from the company. Here, you will find the things those are necessary for you and you will realize the right way of behavior of the chauffeur and also will like to hire the services again and again whenever you will need. We usually have Private Hire Drivers just around the corner with Private Hire Licensed and fully insured Vehicle in London All airports. Ø Gives you as better as you require. Ø On time pick-up, no need to wait for a Minicab. Ø Clean and comfortable Minicabs.